There are different types of machines are vehicles which are used in the field of construction. There are many leading companies in the market which tend to manufacture these machines under various designs. This article is all about one of the best construction equipment which is highly preferred in current scenario. The equipment is nothing but bobcat mini excavator. People who are about to buy their first mini excavator can consider this review in order to choose the best equipment for their jobsite. Bobcat is nothing but a Doosan Company. This is one of the leading companies in the market. This company is engaged in manufacturing the most compact equipment since 50 years. The most interesting fact about this company and their product is all their equipment is considered to be more compact when compared to that of other equipments available in the market. Since all their equipments are more compact, they will be quite easy and effective to handle. The other most important thing which is to be stated about this company is their innovative work. Even though their machines are compact they are highly renowned for their performance. This is the reason why they are more popular in spite of heavy competition in the market. Even though the company is engaged in manufacturing different construction equipment, their mini excavator is more famous. Their excavator involves many interesting features which can attract the buyers to a greater extent. They are made with greater comfort options and with better design. They have the most advanced hydraulics, predictable control and depth check system. Their extended arm is one of their most renowned features. Their angle blade will help in making the left and right movements easily. Their two speed travel will help in moving faster. Thus, one can move the vehicle faster in their jobsite. Thus the productivity will also get increased simultaneously. The fingertip boom swing is another important credit which can help in making very fine movements. This will help in bringing accuracy in the work. The operator can work with greater comfort for a very long time. They also have many uptime protection features which can increase the working time to a greater extent. 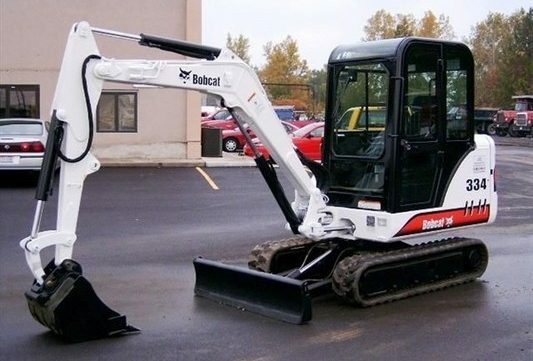 People who are in need to enjoy the complete benefits of Bobcat Mini Excavators can order them easily through online. Apart from this, the dealers of this manufacturer can also be pointed out in online. That is the dealers will be available in many different locations around the world. By considering the online reviews one can easily point out the dealer in their region and they can also get free quotes from them through online.